BANGOR – Too often, we think of science as SCIENCE, some far-removed thing that has little connection with most of our everyday lives. We allow ourselves to be intimidated by this notion that science is something far too complex for any but the most specialized among us to truly understand it. Science is EVERYWHERE, a fact that is celebrated annually by the Maine Science Festival. 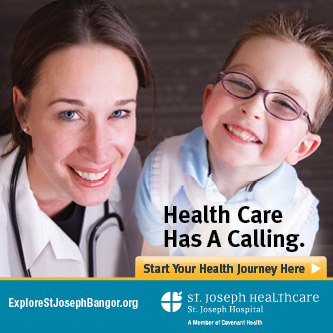 This year’s MSF – which marks the fifth year of the event – takes place March 13-17 at locations all over the greater Bangor area. Scores of events aimed at bringing science to joyful, relatable life – as well as finding those connections to the world we live in everyday – are happening over that span. And at the risk of sounding cliché, it really is fun for all ages. There will be plenty to do and to learn for young children, teenagers and adults alike. Seriously – if you have even the slightest bit of curiosity, you’ll find something to fascinate you at the Maine Science Festival. Oh, and the vast majority of events are absolutely free. You can find more information and a full schedule at www.mainesciencefestival.org. And you should absolutely do that, because any effort on my part to convey the vast and varied sweep of offerings over MSF weekend would be lacking. There’s just SO MUCH SCIENCE. Kate Dickerson is the Director of the Maine Science Festival and one of the driving forces behind turning it into one of the most anticipated events on the cultural calendar. She was kind enough to engage with The Maine Edge via email for a Q&A that was not only incredibly informative, but also illustrative of the passion she carries for this project. BANGOR – The greater Bangor area is set to once again come alive with its annual celebration of science. The Maine Science Festival is back for its fourth year of reminding us that science isn’t some remote thing separate from our everyday lives. No, the truth is that science is everywhere. It’s all around us, serving as an integral part of everything that we do. Starting on March 15 and running through March 18, the MSF is offering dozens of events at venues all over Bangor. These events, large and small, are all dedicated to bringing aspects of science to joyful, vivid life.This is a chance to see for yourself how science impacts your world; you might be surprised at how large a part it plays in your life. And while there are some events that are ticketed, the vast majority of what’s happening over these four days is free. We’re including a schedule of events, but there’s not nearly enough space to go into detail for all of the wonderful programming that’s going on over the span of MSF. For more information, head to www.mainesciencefestival.org for details on anything that piques your interest.